While EUR is being supported due to the Mario Draghi’s comments, USD is getting weak because of the Brexit issue which makes the market too risky to trade. Today EURUSD continued its bullish trend within the ascendant channel and still is moving upwards. 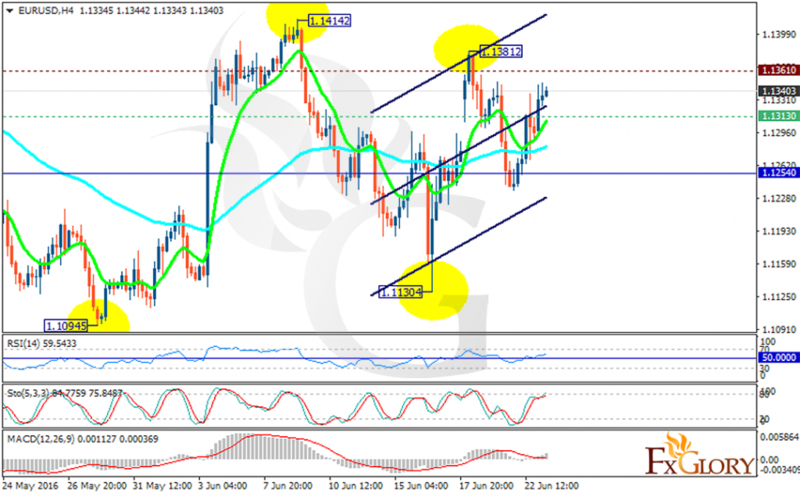 The support rests at 1.13130 with resistance at 1.13610 which both lines are above the weekly pivot point at 1.12540. The EMA of 10 is also rising and is located above the EMA of 75. All indicators are signaling price growth; the RSI is above the 50 level, the MACD indicator is in positive territory and the Stochastic is showing upward momentum. In terms of the price growth, it will hit 1.1450.